These Ammo Can liners are built to keep your rounds pristine, safe, and ready to go at a moments notice. Even if you've got months or years between shoots, or broken seals on your favorite cans your ammo will be safe and secure for when you need it most. It's a cheap and easy solution. Just line your favorite cans with a Dry Packs Liner that's designed to hold up to years of rugged use. 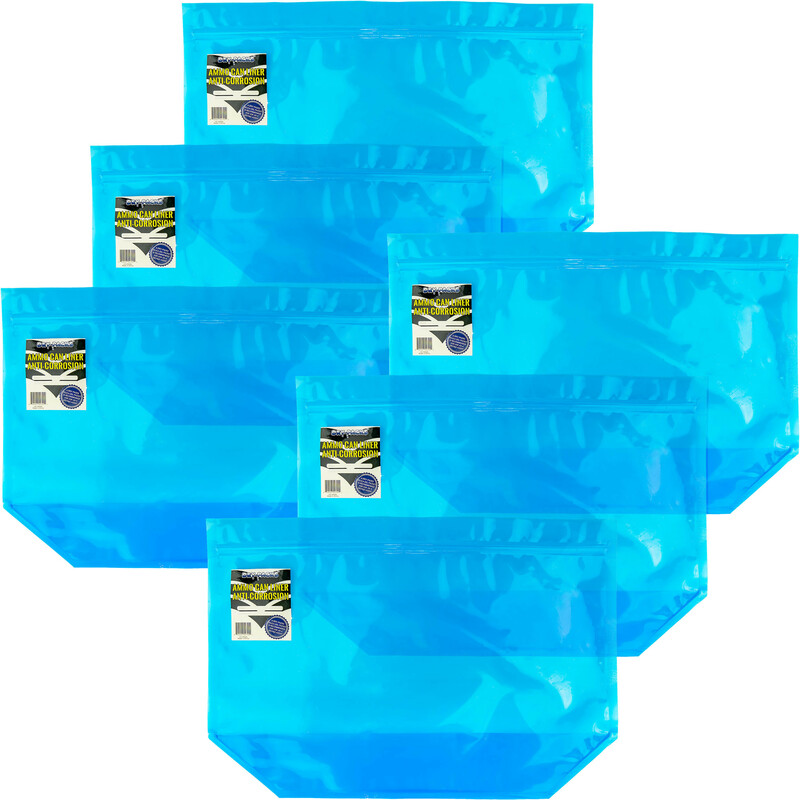 Insert a silica gel packet or reusable canister from Dry Packs, and rest assured that your investment is ready to go, whenever you need it. Dry Packs VCI Ammo Can Liners are manufactured to fit almost any 50cal can. They employ no-residue VCI technology a strong water-resistant seal. The gusseted bottom means no wasted space and the bag fills the entire can. It's a no brainer. You don't have to feel timid about stocking up when you find a good deal anymore. Maintain your firepower (and your investment) without breaking the bank. Dry Packs is a simple solution that just works. Includes six liners. Fits .50 caliber ammo cans. When laying flat liner measures 17.25"x 11.75" x .10"